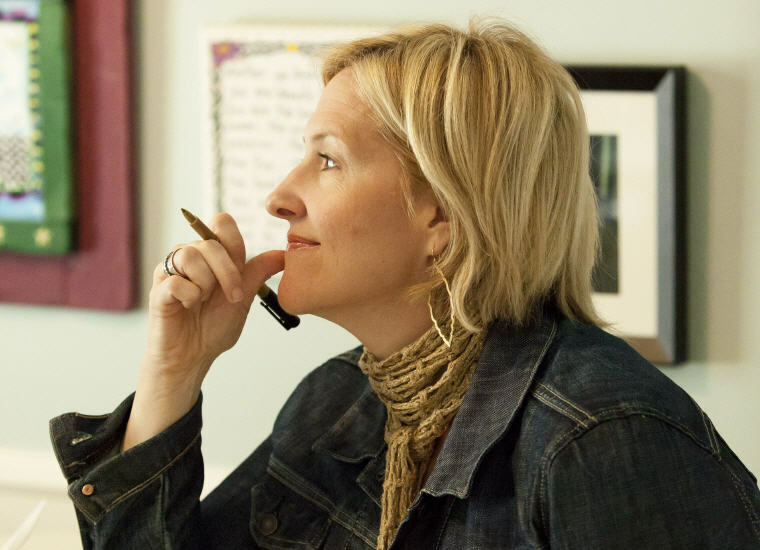 Excerpt from Wikipedia: Brené Brown is a research professor at the University of Houston where she holds the Huffington Foundation – Brené Brown Endowed Chair at The Graduate College of Social Work. She has spent the past sixteen years studying courage, vulnerability, shame, and empathy and is the author of four #1 New York Times bestsellers – The Gifts of Imperfection, Daring Greatly, Rising Strong, and Braving the Wilderness: The Quest for True Belonging and The Courage to Stand Alone. Brown’s TED talk – The Power of Vulnerability – is one of the top five most viewed TED talks in the world with over 30 million views. In addition to her research and writing, Brown is the Founder and CEO of BRAVE LEADERS INC – an organization that brings evidence-based courage building programs to teams, leaders, and organizations. 1. So where I started was with connection. Because, by the time you’re a social worker for 10 years, what you realize is that connection is why we’re here. It’s what gives purpose and meaning to our lives. 2. It doesn’t matter whether you talk to people who work in social justice, mental health and abuse and neglect, what we know is that connection, the ability to feel connected, is — neurobiologically that’s how we’re wired — it’s why we’re here. 3. The only people who don’t experience shame have no capacity for human empathy or connection. 4. And that was, the people who have a strong sense of love and belonging believe they’re worthy of love and belonging. 5. They had the compassion to be kind to themselves first and then to others, because, as it turns out, we can’t practice compassion with other people if we can’t treat ourselves kindly. 6. You’re imperfect, and you’re wired for struggle, but you are worthy of love and belonging. 7. None of us get calmer by telling ourselves to calm down. We get it by understanding what calm is: being able to see clearly because we are not overreacting to a situation. 8. What keeps most of us from dancing—at any age—is usually the desire to be cool, and being cool, even for grown-ups, is a refusal to be vulnerable. 9. Belonging is something else entirely—it’s showing up and letting yourself be seen and known as you really are—love of gourd painting, intense fear of public speaking and all. 10. Belonging starts with self-acceptance. Your level of belonging, in fact, can never be greater than your level of self-acceptance, because believing that you’re enough is what gives you the courage to be authentic, vulnerable and imperfect. 11. Guilt is good. Guilt helps us stay on track because it’s about our behavior. It occurs when we compare something we’ve done—or failed to do—with our personal values. The discomfort that results often motivates real change, amends and self-reflection. 12. Be vulnerable. Get uncomfortable. Be present with people without sacrificing who you are. 13. I believe that vulnerability – the willingness to be “all in” even when you know it can mean failing and hurting – is brave. 14. Owning our story can be hard, but not nearly as difficult as spending our lives running from it. Embracing our vulnerabilities is risky but not nearly as dangerous as giving up on love and belonging and joy – the experiences that make us the most vulnerable. 15. Only when we are brave enough to explore the darkness will we discover the infinite power of our light. 16. There is no greater threat to the critics and cynics and fearmongers than those of us who are willing to fall because we have learned how to rise. 17. When we deny our stories, they define us. When we run from struggle, we are never free. So we turn toward truth and look it in the eye. 18. We are the authors of our lives. We write our own daring endings. 19. We craft love from heartbreak, compassion from shame, grace from disappointment, courage from failure. #20 Braving The Wilderness: Chapter Six: Hold Hands. With Strangers. 20. An experience of collective pain does not deliver us from grief or sadness; it is a ministry of presence. These moments remind us that we are not alone in our darkness and that our broken heart is connected to every heart that has known pain since the beginning of time. 21. True belonging is the spiritual practice of believing in and belonging to yourself so deeply that you can share your most authentic self with the world and find sacredness in both being a part of something and standing alone in the wilderness. True belonging does not require you to change who you are; it requires you to be who you are. 22. If we are going to change what is happening in a meaningful way we’re going to need to intentionally be with people who are different from us. We’re going to have to sign up and join, and take a seat at the table. We’re going to have to learn how to listen, have hard conversations, look for joy, share pain, and be more curious than defensive, all while seeking moments of togetherness. 23. Social media are great for developing community, but for true belonging, real connection and real empathy require meeting real people in a real space in real time. 24. When we deny our stories, they define us. When we own our stories, we get to write a brave new ending. 25. Empathy is the skill or ability to tap into our own experiences in order to connect with an experience someone is relating to us. Compassion is the willingness to be open to this process. 26. Vulnerability sounds like truth and feels like courage. Truth and courage aren’t always comfortable, but they’re never weakness. 27. True belonging doesn’t require that we change who we are; it requires that we be who we are. 28. The broken-hearted are the bravest among us. They had the courage to love. 29. Integrity is choosing courage over comfort. It’s choosing what is right over what is fun, fast, or easy. It’s choosing to practice your values rather than simply professing them. 30. Courage is contagious. Every time we choose courage, we make everyone around us a little better and the world a little braver. 31. The dark does not destroy the light; it defines it. It’s our fear of the dark that casts our joy into the shadows. 32. Faith is a place of mystery, where we find the courage to believe in what we cannot see and the strength to let go of our fear of uncertainty. 33. When we can let go of what other people think and own our story, we gain access to our worthiness—the feeling that we are enough just as we are and that we are worthy of love and belonging. 34. Owning our story and loving ourselves through that process is the bravest thing we’ll ever do. 35. Be you. Be all in. Fall, rise, and try again.